KJ & Rob is a team of passionate photographers who love to laugh hard, love well, and capture life’s stories. The KJ & Rob Photographer team has an outstanding blend of editorial, photojournalistic and fine art photography that distinguishes them in the Colorado wedding photographer industry. Their unique method is focused on the moments and relationships that are happening in a natural environment. This style of photography lends itself to the emotion, detail and relationships that your wedding day is all about.While KJ & Rob Photographers is based in Fort Collins, Colorado, their love for wedding photography takes them all across the state to the cities of Denver, Colorado Springs, Boulder, Aspen, Vail, Glenwood Springs, Breckenridge, and Estes Park. Whether they are photographing a small destination wedding, a snowy Colorado winter wedding at one of the regions beautiful ski resorts or an urban wedding in Denver, KJ and Rob are passionate about capturing stories wherever they unveil. Having had the privilege of photographing over 150 weddings, I believe that being a wedding photographer is not just another job, it is creating lasting memories of one of the most important days of a couple’s life. That’s a big deal!My philosophy on wedding photography is that you should love your wedding photographs just as much as you love your experience with your photographer.Stylistically my work can be described as timeless, yet modern. My unique style comes from a blend of artistic, photojournalism that captures the story and emotion of your day and a more classic approach to photographs of your family and friends. 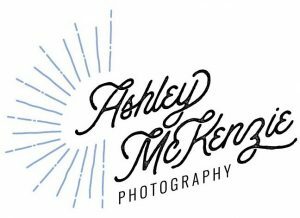 Ashley is a local award winning lifestyle wedding photographer. Although she is based in the Fort Collins area, she has photographed 175 weddings during the past 6 years all over the state of Colorado! Ashley loves working with couples who have a sense of adventure, love to snuggle up, and share a mutual passion for the outdoors. Her lifestyle approach for blending fine art portraiture and photojournalism is based on observing and creating real emotion based moments between couples on their wedding day. The result is photographs that evoke epic nostalgia and deep intimate connection. Ashley believes that each photograph created on your wedding day is a preservation of once in a lifetime memories, and will leave a lasting legacy for your family’s future generations.